Madison Coupon Connection: Great "Land O Lakes" Butter Rebate Deal! Great Deal on Land O Lakes Butter with Olive Oil! 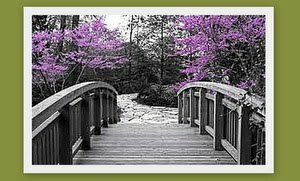 + mail in for rebate below (before 5/31) & get a coupon for another FREE package! = $1.25-$1.30 each (when this butter priced at $2.99)...could be less if this is on sale! Now when you buy one package of Land O Lakes® Butter with Olive Oil, we’ll give you another one free. Just follow the instructions below to get your free package and taste the pure, natural goodness of olive oil. 2. The original retail store cash register receipt dated between 02/06/11 and 04/30/11 with Land O Lakes® Butter with Olive Oil. Postmark date must be on or before 05/31/11. 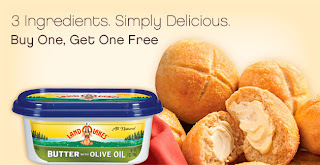 RECEIVE: A coupon by mail for FREE Land O Lakes® Butter with Olive Oil (maximum value $2.99).